The best way to share the mastery of the Moche is through photos. 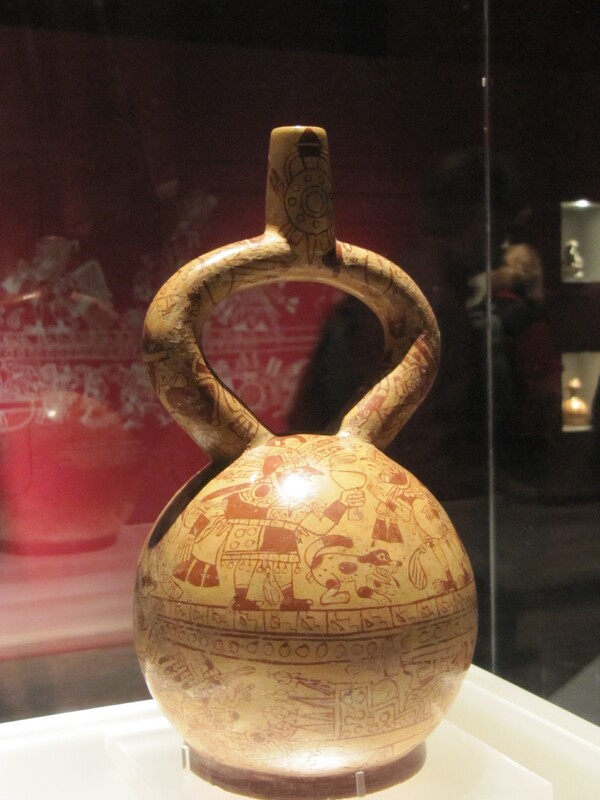 The images below capture some of the amazing Moche ceramics I had the privilege of seeing during two visits to Peru in 2009 and 2011. 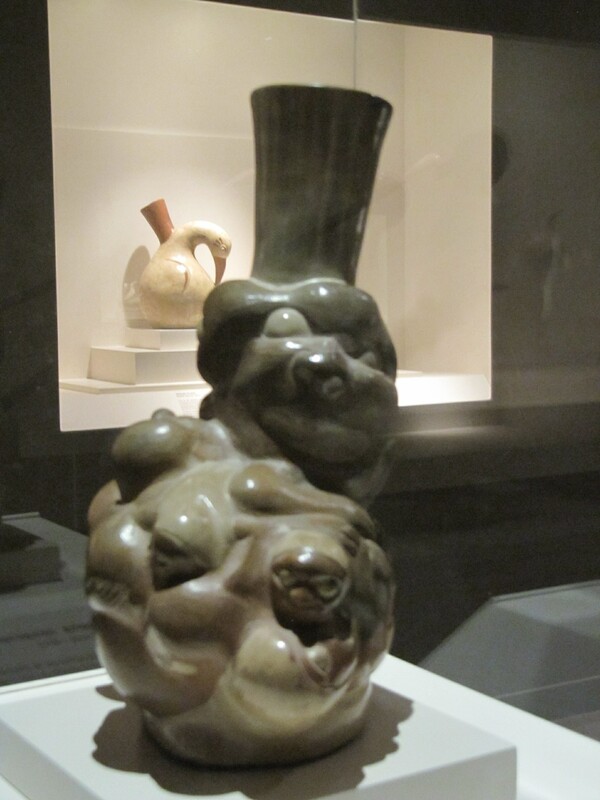 If you happen to find yourself in Lima, the capital of Peru, I would highly recommend a visit to the Larco Museum. 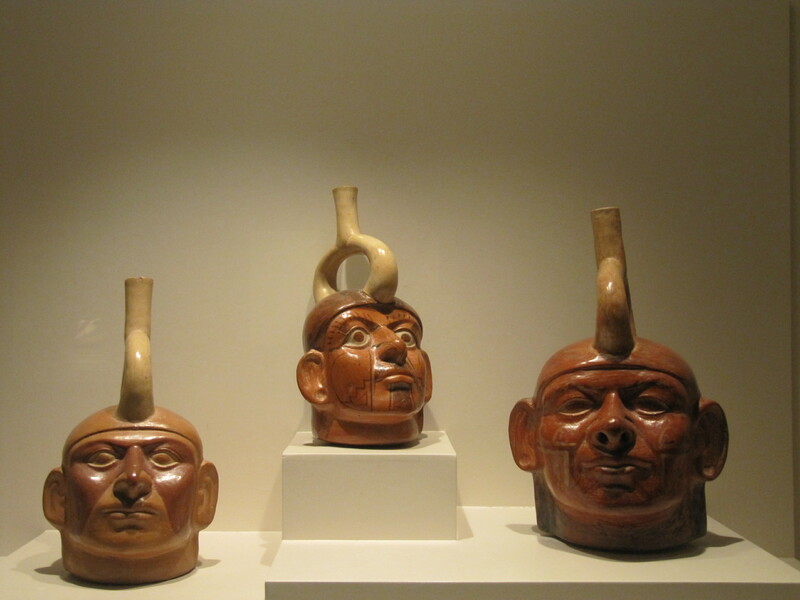 It is a privately run institution and has a remarkable collection of pre-Columbian works, including an impressive number of Moche pieces. The Museum has an excellent website with an on-line catalogue if you are unable to visit in person. 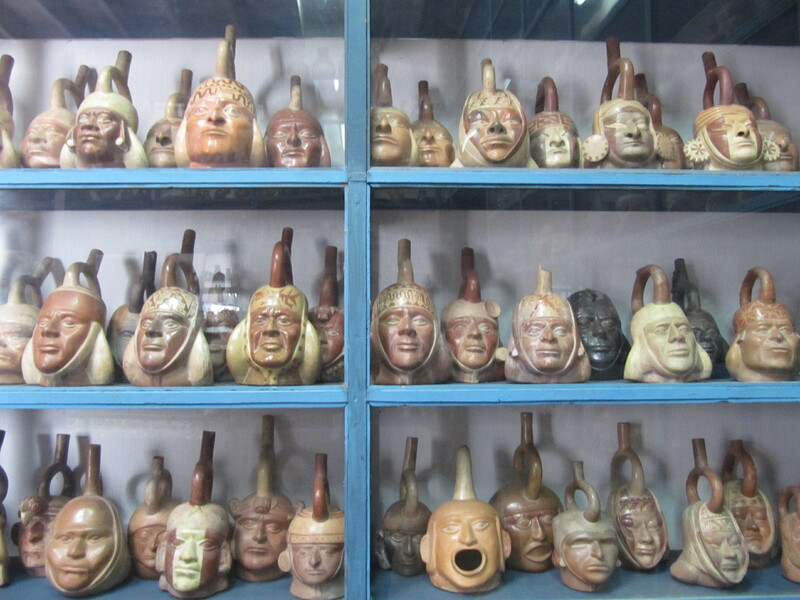 In contrast to many museums, visitors have access to the store-rooms at the Larco Museum. It is here that the incredible skills and observational powers of the Moche are evident. 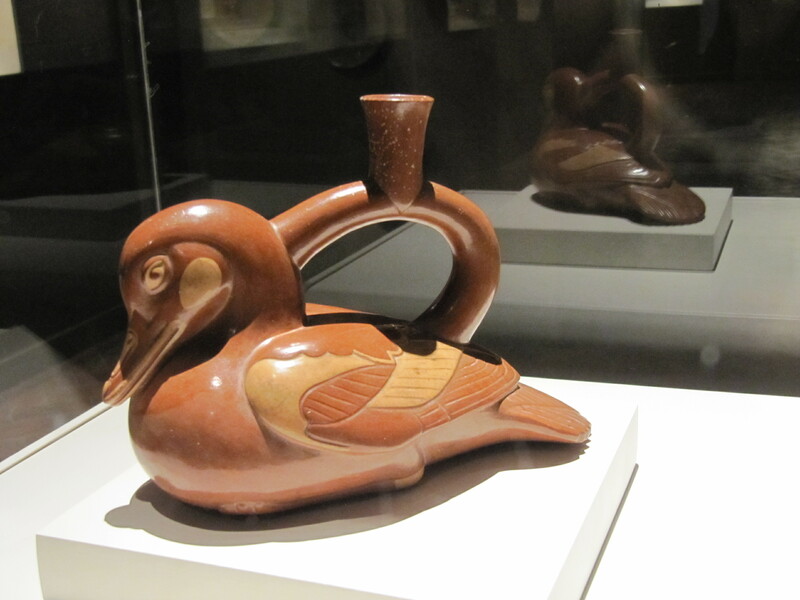 There is a ‘daughter’ Larco Museum in Cusco – called the Pre-Columbian Art Museum – that is also worth visiting. The Museum provides a broader context for the cultures that pre-dated and influenced the Inca civilization for which Cusco and the surrounding region is aptly renowned for. In addition to the diversity of their ceramics, the Moche are particularly well known for their portrait figures and ‘fine-line’ pottery. Examples of both styles are shown below. The portraits created by the Moche appear to represent actual individuals. Some of them have physical disfigurements or genetic defects. Other portraits have the facial features of people from Asia and Africa. The fine-line ceramics document important social activities. 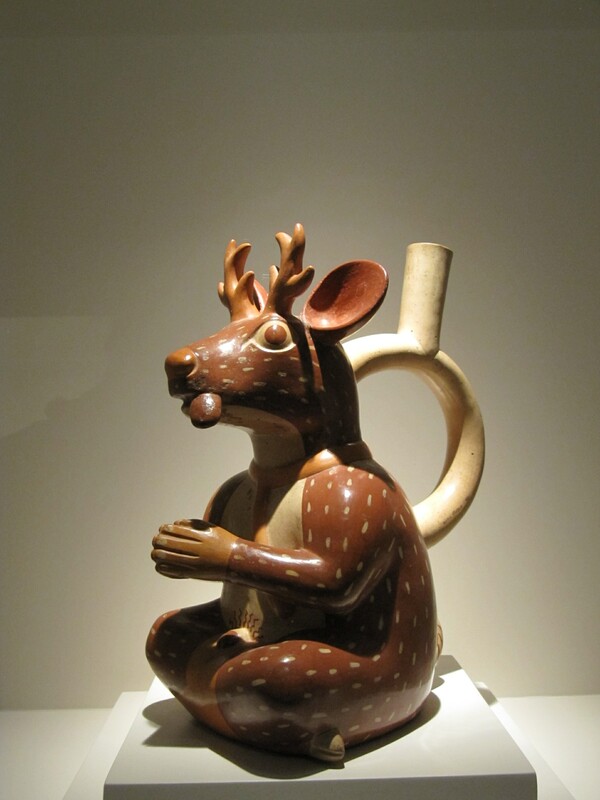 Through their ceramics we can learn about Moche culture, the people of their day and their world-view – including their relationship to the natural world and the elements. 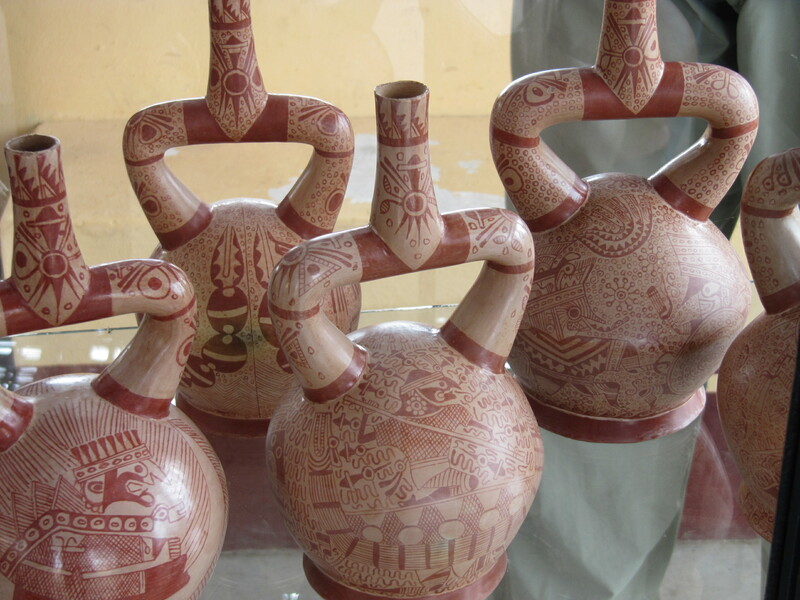 In modern day Peru the art of Moche pottery is being revitalised, for example at San Jose de Moro, an archeological site in the Jequetepeque valley north of Lima. Recreating fine-line ceramics is their speciality. 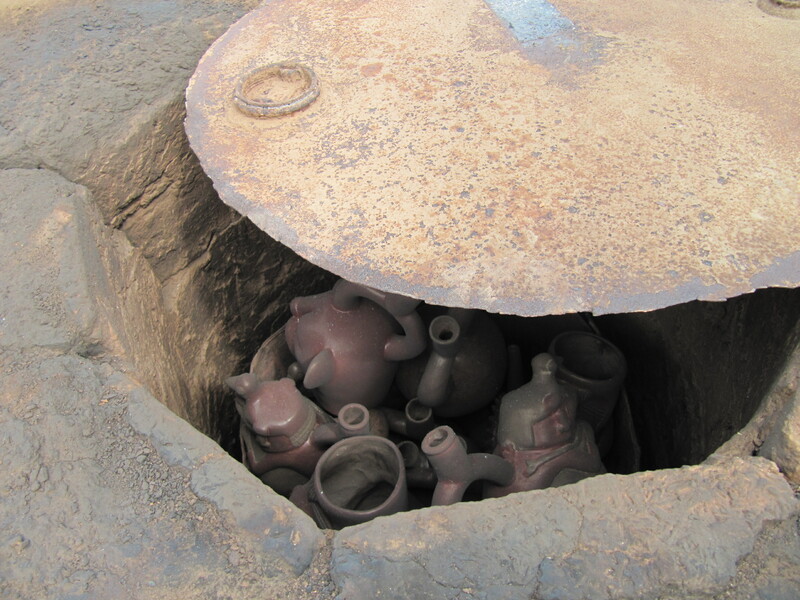 The kiln (fire and air) being used to fire the pots (earth and water) are modelled on the original kilns used by the Moche over 1000 years ago. 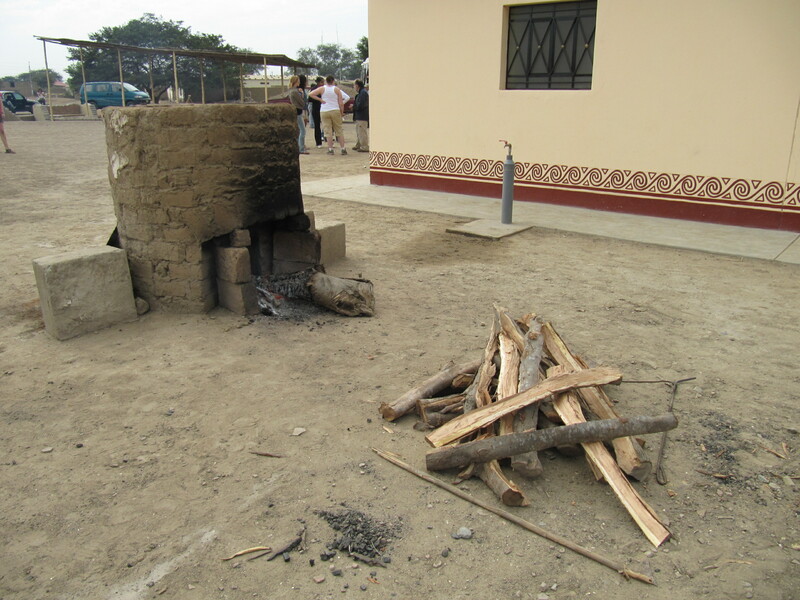 The spirit of the Mochica is being respected and passed on through this activity. One to be applauded. This entry was posted in Air, Central and South America, Earth, Fire, The five elements, Visual Arts, Water and tagged Air, earth, fine-line, Fire, Moche, Peru, pottery, Spirit, the elements, Water. Bookmark the permalink. 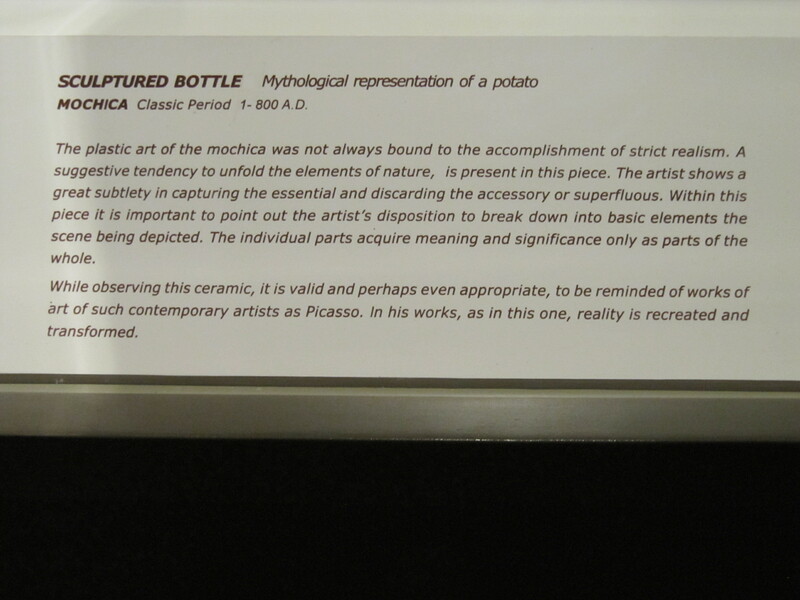 I hadn’t really thought of how making pots from clay is such an ‘elemental’ pastime. When you point out the way in which the five elements are combined to create the final piece, I wonder why it hadn’t occurred to me before. The range of work created by the Moche is impressive; it must have been amazing to visit the museum and see these pieces in context. Both of the Larco Museums were amazing. Even more so was visiting the Moche temple and city complexes. The Temples of the Sun and the Moon near Trujillo in northern Peru were particularly impressive.